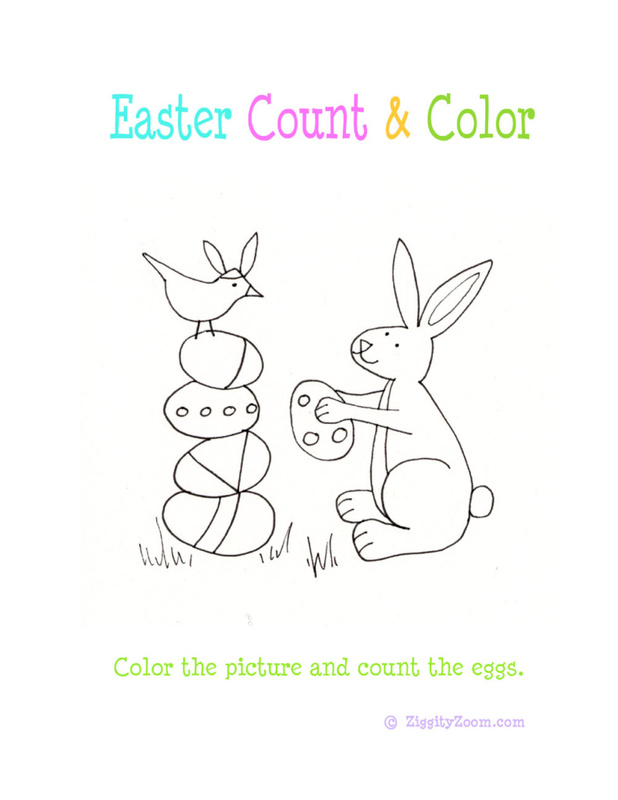 Count &amp; color Bunny worksheet. 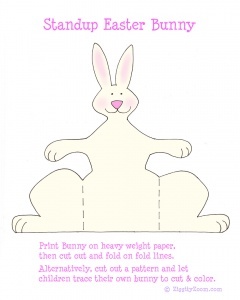 Make a Standing Bunny to cut &amp; color. 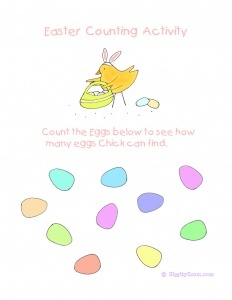 Which one doesn’t belong Easter worksheet. 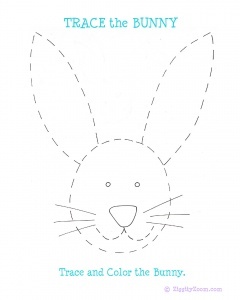 We hope you enjoy our free Easter fun pack and watch for more from ZiggityZoom to keep your kids having fun in the classroom.